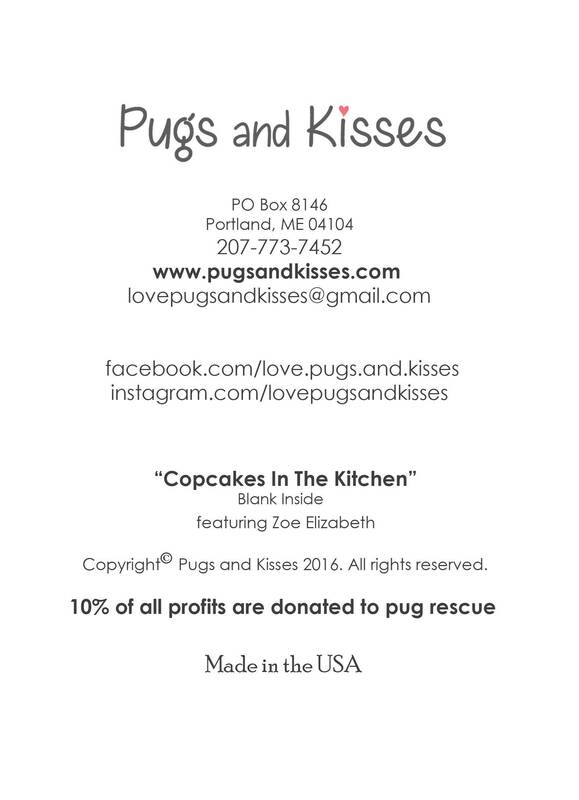 This item is one, "Cupcakes in the Kitchen" 5x7 adorable greeting card, featuring Zoe Elizabeth. 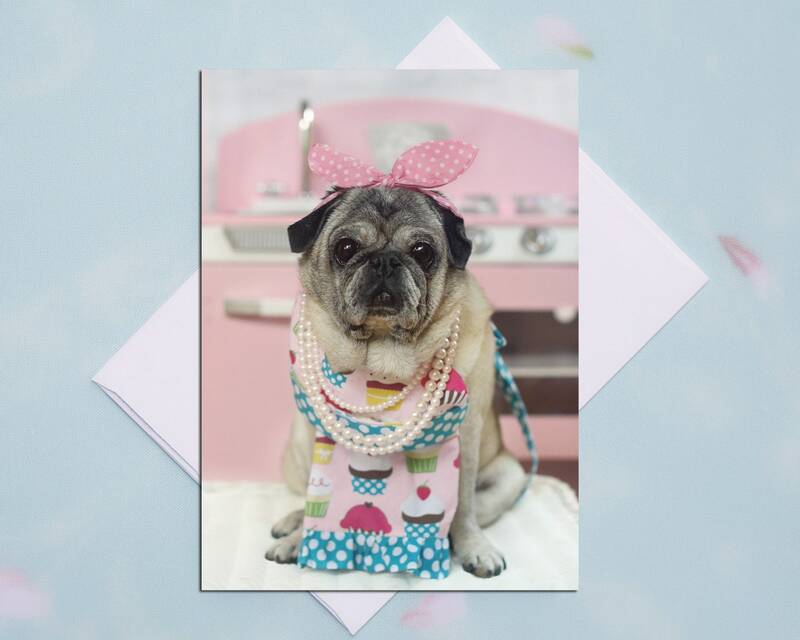 The sweet puggie is looking too cute in her apron and pearls! 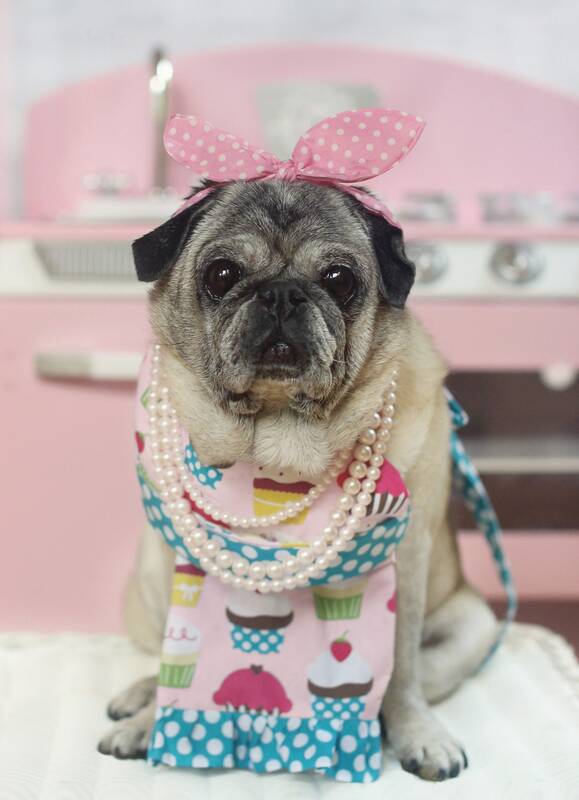 She's stealing hearts all over town! !